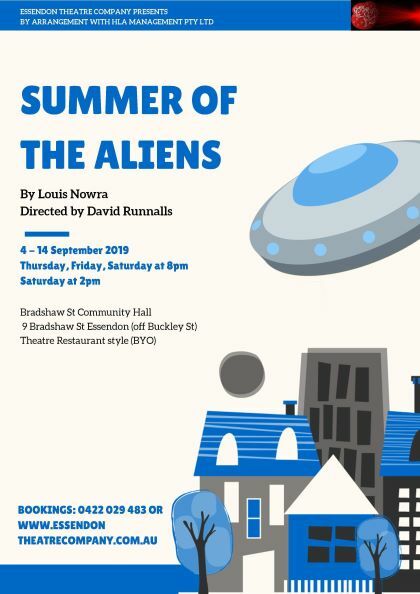 Over the course of 2018, a number of local writers have been workshopping and developing a series of original one act plays under the mentorship of Award Winning Playwright Michael Olsen. Our second season for the year will involve the performance of three of these unique pieces in preparation for submission to the One Act Play Festivals. 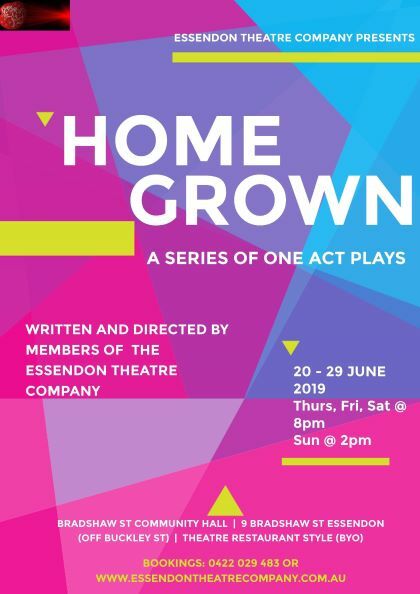 Lewis lives in a housing commission suburb on the outskirts of the city, Melbourne with his single mother, sister, and grandmother, who is rapidly approaching senility. Lewis' obsessions with aliens masks his own adolescent confusion about the changing world around him. Lewis' world changes forever when his itinerant father, Eric, suddenly returns home, and Lewis discovers his best friend, Dulcie's heartbreaking secret. The three-act play is set in 1962, the year of the Cuban missile crisis. 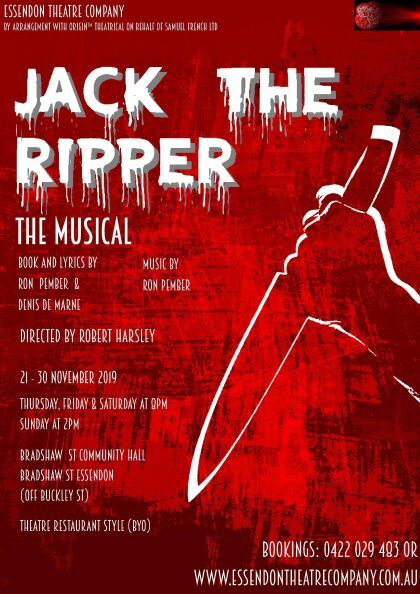 The play is a musical reconstruction of incidents relating to the East End murders which took place between Friday, August 31st and Friday, November 9th, 1888, set in a Music Hall and the surrounding streets, as performed by the inhabitants of Whitechapel.